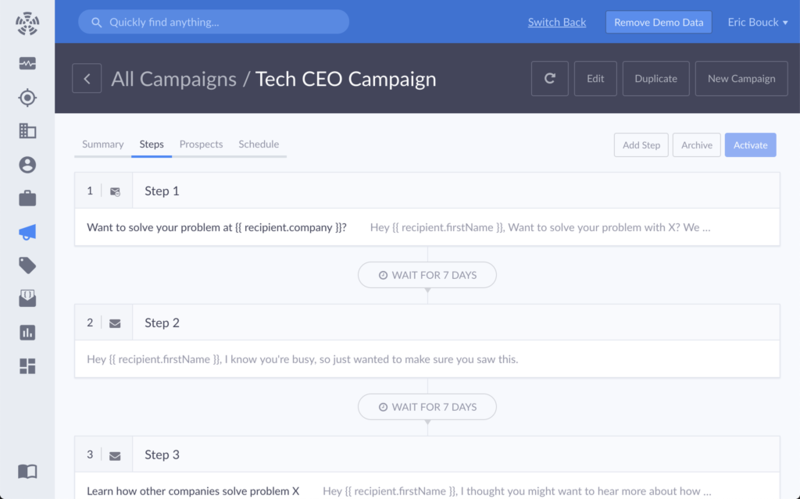 Put your pipeline on autopilot with sales campaigns, prospecting, and outreach tools. Unlock growth with customized, targeted outbound campaigns. Automated prospecting emails turn your sales organization into a finely-tuned machine and streamline the flow of new business into your pipeline. Run email campaigns and fill your pipeline with hot new leads. Create email templates with custom fields or even customize each individual email. Nail the perfect message for each lead to accelerate sales and win more deals. Schedule email flows at custom intervals to stay top-of-mind without burying prospects in annoying follow ups. Send automated replies to follow up with every lead and move deals through the pipeline. Make sure your emails arrive when your prospects are most likely to ready them. Control day of week and time of day settings and target by timezone to ensure you get the best open rate. Intelligent campaign features keep you focused on the leads that matter. Responses are automatically flagged and removed from the workflow to avoid embarrassing mistakes and superfluous follow ups. Handles out-of-office messages intelligently. 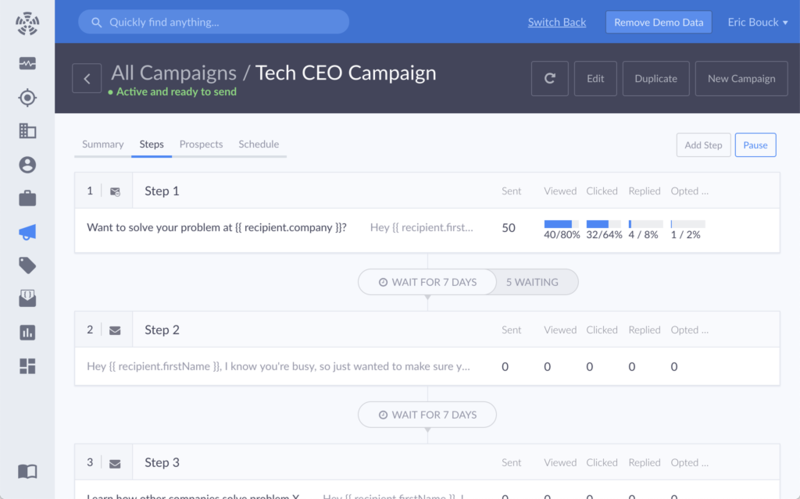 Detailed tracking of views, clicks, replies, and opt-outs on each step as well as the overall campaign help you tailor your message to deliver results. 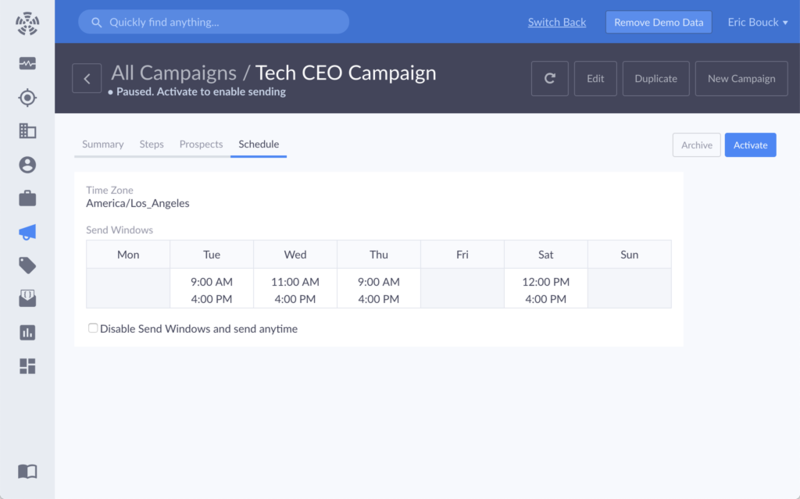 Maximize deliverability and visibility of every campaign. With full Gmail integration, Propeller email campaigns won’t be treated like a bulk email blast or flagged as spam.